Bitcoin has been featured frequently in real estate news over the past year. In California, a home worth over $3.2 million was purchased using approximately 3,000 bitcoins. A Monmouth County, New Jersey home was accepting $2.3 million in bitcoin in February of this year. A month later, a condo in New York city was listed at $875,000 in bitcoin. The real estate market has seen explosive interest in using bitcoin as a method of purchasing property. What is this currency, though, and why is it so popular in real estate? Bitcoin – also known as BTC – is currently the most popular form of cryptocurrency. A cryptocurrency is a digital currency that can be transferred securely and instantaneously. Cryptocurrencies uniquely operate decentralized from a central bank system. Bitcoin can be sent in a peer-to-peer transfer, without a need to pay transaction fees or wait for an intermediary to process the transaction. The software was released in 2009 by a mysterious person – potentially an organization – calling themselves Satoshi Nakamoto. The mystery surrounding the origins of this open-source software is one of the reasons that bitcoin has become so popular in mainstream media. Bitcoin is also famous for its explosive growth in price. Bitcoin’s value, like other currencies, is dictated by the amount that consumers are willing to pay to obtain it. Bitcoin is both a currency (bitcoin) and a software (Bitcoin). In order to obtain bitcoin – as well as other cryptocurrencies – one must contribute to the Bitcoin blockchain. The blockchain is a technology that publicly lists and distributes digital information. The blockchain is often referred to as a ledger or a spreadsheet. This network is fully available to the public, so all transactions within the blockchain are public record. The name originates from the word “block” which in this case is the name of a single transaction record. Every time a block is completed, it is chained to the other blocks, therefore creating a block chain. Each block in a blockchain is comprised of a hash, a unique algorithm that turns a string of characters into a new string of numbers or letters. The hash algorithm includes some additional mathematical factors that lead to a fully unique generated code within a block. The hash within a single block contains information about a unique bitcoin transaction. The process of contributing to the repeated discovery of new unique hashes within the blockchain is called mining. The word “mining” is somewhat of a misnomer, as the process is more akin to using math to safeguard bitcoin transactions. Since each block’s algorithm must be exact, any alterations to a block in the blockchain will reveal immediate and obvious transaction tampering. This process of bitcoin mining prevents fraud attempts. For example, if a transaction for 30 BTC is processed in a block, and someone later changes that to 50 BTC, the block’s records will no longer match the original hash algorithm. By calculating the transactions within each block, miners help improve the Bitcoin blockchain’s security. Generating a block’s hash requires high computing power, since a computer must calculate trillions of unique codes. This is why bitcoin miners often invest in multiple computers that have a powerful central processing unit (CPU). In turn, this explains why many bitcoin miners are located in technologically advanced countries including South Korea and Japan. Bitcoin miners can make money by contributing to the blockchain’s security. When a bitcoin miner successfully completes a new block in the blockchain, they are rewarded with freshly minted bitcoin for their effort. The other way to obtain bitcoin is to purchase it using fiat money. It is important to note that cryptocurrencies are different from fiat currencies. A fiat currency – also known as fiat money – is legal tender that is supported by a government. For example, the United States’ dollar system is a fiat currency system. However, since cryptocurrencies are decentralized from a bank or single government, they are not considered fiat currencies. This creates a cause for cryptocurrencies’ popularity: since cryptocurrencies like bitcoin are not fiat currencies, they are taxed differently. The Internal Revenue Service in the United States considers cryptocurrencies to be treated as virtual property. A fiat currency is hard cash, but cryptocurrencies like bitcoin operate similarly to gold or real estate: their value is not fixed and it has the potential to grow immensely. Bitcoin is not the only cryptocurrency that exists. While bitcoin is the most well-known and currently most popular cryptocurrency, there are others that are rising to prominence. Some popular cryptocurrencies include Litecoin and ether. Litecoin was made in 2011 as an alternative to bitcoin. The Litecoin software is very similar to Bitcoin’s; however, it is designed calculate blocks and hashes more rapidly than Bitcoin. Litecoin’s hashes are smaller and easier to compute, and the time it takes to create a block is faster. Litecoin is popular due to its efficiency. The ether cryptocurrency uses the Ethereum operating system to generate its own blockchain-based currency. Ethereum was launched in 2015, making it a relative newcomer to the cryptocurrency market. One of the largest reasons that Ethereum has become so popular is because cryptocurrencies are something investors and consumers want. Creating a new currency with a lower barrier of entry allows more people to get involved. Since Bitcoin’s value exploded over the past few years, newcomers to the cryptocurrency market are looking for an affordable way to cash in on a similar growth pattern. There are many other cryptocurrencies beyond these, however, these three remain the most popular at the moment. Bitcoin is the most popular cryptocurrency to purchase real estate with due to its popularity in the media and its buying power. In recent years, a number of American cities are seeing cryptocurrency being accepted as payment for real estate properties. This trend is particularly popular in cities such as Los Angeles, New York, and Miami. This is largely due to the fact that foreign investors – particularly investors from China – favor real estate in metropolitan areas. Cryptocurrency is immensely popular amongst Chinese investors. Real estate agents who understand this emerging market can capitalize on many business opportunities. Until 2017, there was no capital gains tax in Hong Kong, which made the city a popular tax haven for mainland Chinese investors. Additionally, Hong Kong does not require the same documentation as mainland China, nor does it require the same rigorous record keeping of foreign-held assets. The new 2017 tax policies were designed to allow the Chinese government to better monitor their citizens’ assets held in foreign banks. However, these new tax policies do not monitor foreign-held properties. Cryptocurrencies are very popular for Chinese investors because there are no central bank transaction fees. For a few years, Bitcoin mining was immensely popular in China due to its cheap computer parts and low cost of labor. With the government’s recent bans and limitations on cryptocurrencies, however, many Bitcoin miners have moved their operations to other countries. The People’s Bank of China is currently trying to promote its own internal currency, which can be monitored by the government. 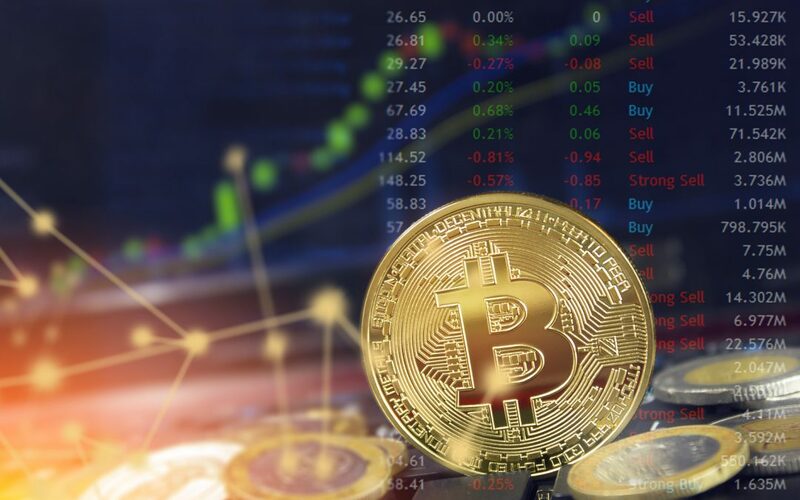 Bitcoin – along with other cryptocurrencies – can be traded within the country, however this can only occur in over-the-counter trades. Mainland Chinese owners of cryptocurrencies have also moved their crypto assets abroad. Despite the Chinese government’s attempts to influence bitcoin and cryptocurrencies, digital cash is very difficult to control. Since cryptocurrencies are decentralized, an owner of cryptocurrencies can simply move all of their currencies to a different country or sell them off in the form of an alternate asset. This is why many Chinese investors use cryptocurrencies to purchase American real estate. The real estate business is beneficial to Chinese investors because they can utilize their non-Chinese cryptocurrencies without needing to rely on a centralized bank, and because they are not taxed on their foreign real estate holdings. One of the biggest reasons that Chinese investors are flocking to real estate in Los Angeles, New York, and Miami is because they seek out real estate that is attractive for immigrant families: they look for real estate in areas with established school systems and diverse job opportunities. These cities all also boast large Asian immigrant populations. Since cryptocurrency is becoming a popular method for purchasing real estate, agencies should consider offering crypto as a form of payment. While major American cities are popular amongst Chinese investors, they are not the only regions that are seeing foreign investment. New Jersey real estate agents have many marketable strengths that make this state alluring to foreign investors. New Jersey’s proximity to major urban centers – particularly Philadelphia and New York – is one of the state’s many selling points. Bitcoins’ popularity continues to grow, alongside the growth of competing cryptocurrencies. While foreign investors are often seeking properties in major American cities, New Jersey has many features that are attractive to new real estate seekers. Bitcoin’s success in the residential real estate market has proven that consumers want to use this new form of digital currency. If commercial real estate utilizes bitcoin as an alternative purchasing method, perhaps it will make properties more attractive to investors who have large buying power and thereby place pressure on pricing. Will that buying power lead to more foreign investors in commercial real estate? How much of an impact will Bitcoin prove to have on commercial real estate going forward?